/ Modified aug 24, 2018 8:56 a.m. The Arizona senator has battled the disease for more than a year. Sen. John McCain's family issued a statement Friday morning saying the senator has decided to stop medical treatment for brain cancer. McCain turns 82 on Aug. 29. 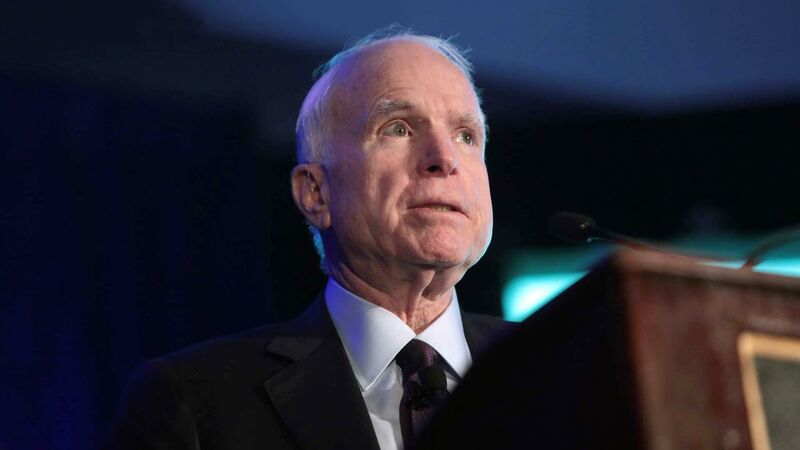 "John McCain is an American hero, always putting country before self. From Vietnam to the halls of the U.S. Senate, the spirit of service and civility that has guided Senator McCain's life stands as a model for all Americans, regardless of political affiliation. Angela and I had the great privilege of visiting with Senator McCain and Cindy in May. Then and now, our prayers and our hearts are with them and their entire family." It will be up to Ducey to appoint someone to fill McCain's seat once the senator leaves office. Whomever Ducey appoints will serve until 2020 when they will have to stand for election.